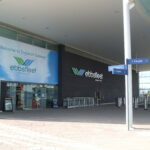 Welcome to Scott’s Travel, the executive airport chauffeur company in brentwood. We are a professional executive chaffeur specialising in airport transfers, We’re proud of our reputation which has been built on recommendation, with a large percentage of our work coming from repeat business and word of mouth recommendation. We have a large fleet of clean modern mercedes vehicles available to provide direct transfers to any of Londons major airports to and from Brentwood, available 24 hours a day, 365 days a year. Brentwood Chauffeur To Gatwick Airport And when you need Chauffeured Transportation in London,Essex,Kent, Southend airport travel is the right choice. 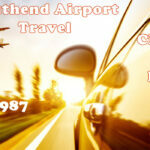 The Southendairporttravel is our customer first approach that shows from the way we answer the phone all the way to the way your trip is concluded. 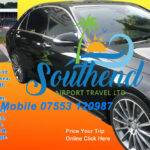 Southendairporttravel customers enjoy access to a wide variety of fleet choices from Mercedes cars You are able to get a chauffeur quote for any chauffeur trip to all the London airports immediately online.